Dr. Tien graduated from Chung Shan Medical University in 1986 and completed orthopedic residency at Taiwan Tao-Yuan General Hospital in Taiwan. He then served a one-year fellowship as a research fellow, one year as a clinical fellow, followed by another year as a senior fellow with the Christine M. Kleinert Institute for Hand and Microsurgery. He then completed a residency at the University of Louisville School of Medicine in General Surgery, with his final year serving as Administrative Chief Resident. He is board certified in General Surgery, Orthopedic Surgery and Hand Surgery in Taiwan, and is board certified in General Surgery and Hand Surgery in the United States. He is currently an associate clinical professor at the University of Louisville School of Medicine, Division of Hand Surgery, Department of Surgery and Department of Orthopedic Surgery. He is also the Chief of the Division of Hand Surgery in the Department of Surgery, School of Medicine at the University of Louisville. 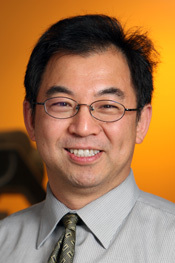 Dr. Tien is also a member of AO Musculoskeletal Trauma “Hand” Faculty and a fellow with the American College of Surgeons. He specializes in arthritis, trauma, microsurgery, and nerve issues involved in upper extremities with a special interest in brachial plexus injuries.